A Panel from 2005: My, How Things Have Changed! 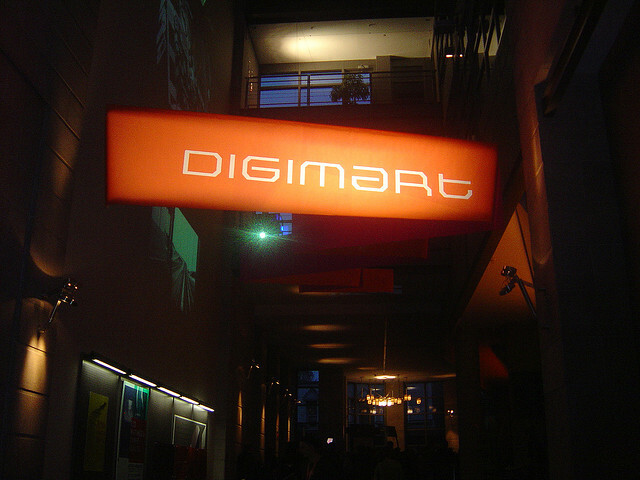 In 2005, I was invited to a conference in Montreal called Digimart, organized by Daniel Langlois and his team at Ex-Centris. It was a very early attempt to deal with the coming convergence of entertainment technologies, and they invited a star-studded array of speakers that represented the cutting edge of that time. I met many incredible people at the event, and even more the following year, when they invited many of us back for a second time. Some of the folks I met are now good friends and collaborators. Recently it was pointed out to me that the videos of the conference sessions were no longer on line, so I contacted the good folks at La fondation Daniel Langlois, who are now trying to restore access to those videos. They’ve put back the sessions from the 2005 event, and are trying to locate the ones from 2006. Watching these videos, it’s incredible how far ahead of the curve many of the speakers were, and equally incredible how much has changed. You can find all the 2005 videos at the Digimart site. For a quick taste, below is the panel I was on, which was called, “More Digital Cinema Networks – Alternative & Independent Spaces.” I’ll post again if and when the 2006 videos reappear.